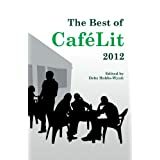 When I received an email on New Year’s Day from Debz Hobbs-Wyatt saying that my story The Shallows had been included in The Best of CafeLit 2012, I was delighted. Now I’m looking forward to receiving my copy of the anthology which is available through Amazon. 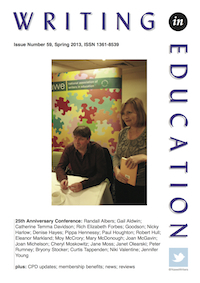 The ezine CafeLit is a fantastic place to submit stories up to 3,000 words. Each year Debz selects 15 of the stories she’s most enjoyed for inclusion in a trade book and contributors receive a share of the profits. I’m really pleased to see my work appear alongside that of Patsy Collins. Patsy has had considerable success in having her stories published in women’s magazines and now has a number of print and ebooks available. She writes regular blog posts which are well worth reading and you can find the link to her blog here. Interestingly, Patsy was made redundant earlier in the year and I’m taking inspiration from the writing she’s undertaken since she’s been liberated from paid employment. In the meantime, the date of my dismissal through redundancy approaches and I’m making plans for a refocused future. When everything is confirmed, I’ll let you know more. What do you think? Have I got all the bases covered? Black Pug Books has been open in Wimborne every Thursday, Friday and Saturday since October 2012. 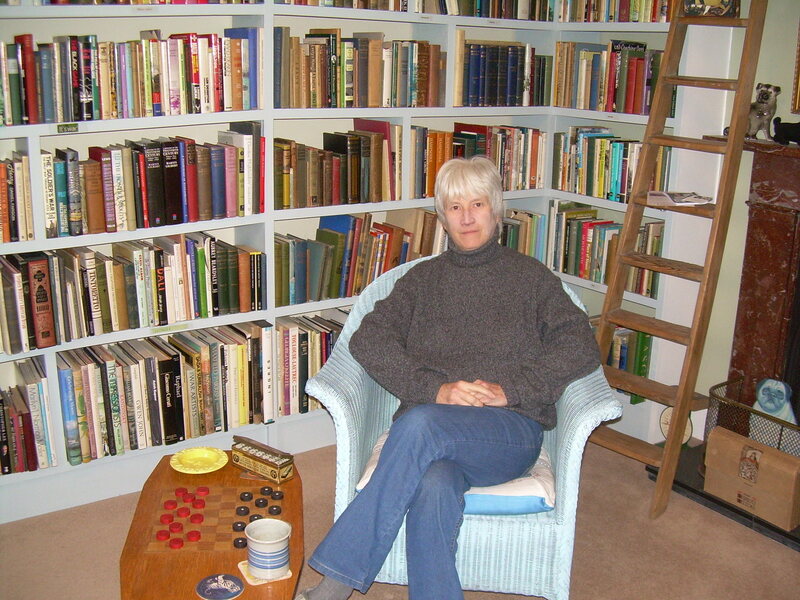 As a newcomer to the town, Victoria Sturgess has made her mark on the popular thoroughfare by opening a bookshop full of ‘loved and used books’ at 24 West Borough. Sitting in Victoria’s front room, it is a pleasure to be surrounded by a hand chosen collection of out-of-print books. The shelves groan at the sheer weight of choice and I was delighted to purchase ‘An Outpost in Papua’ by Arthur Kent Chignell an account of missionary work in the early 1900s. Anything written about Papua New Guinea interests me, owing to my experience of living in Wabag, Enga Province during the 1980s. Victoria has always wanted to run a book shop and began purchasing books that would form the stock three years ago. 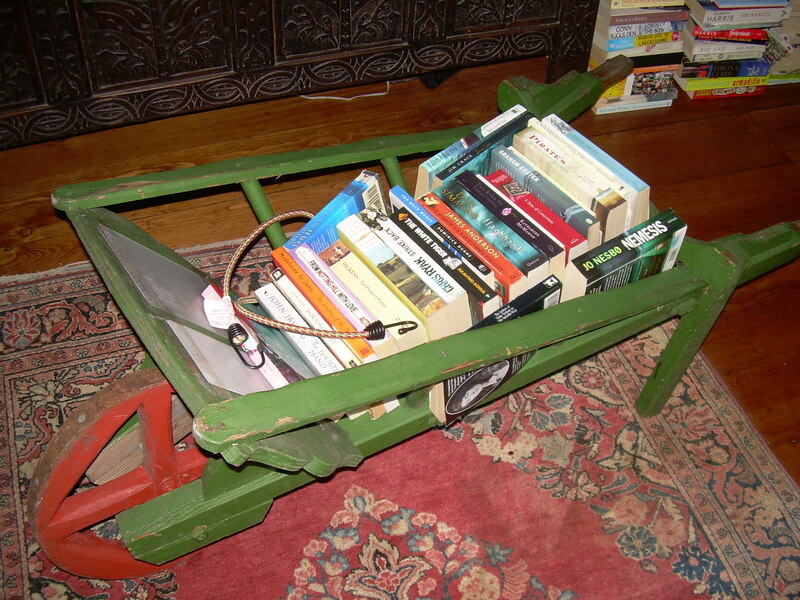 Paperbacks are a sideline (along with LPs, cigarette cards and magazines) and these are displayed in a wheelbarrow that is set outside the front door whenever the shop is open. Victoria encourages customers to knock on the door to gain access outside normal opening hours or you can telephone ahead for special visiting arrangements. The splendid team at What the Dickens? magazine are seeking your help in getting the next edition into a printed format. The bi-monthly magazine has been available free on-line for one year with six excellent issues. You can read the back copies here. To find out more about the team behind the magazine there’s a You Tube film which even includes a photo of me! So, if you feel in the mood to back this creative endeavour go to the Sponsume page, check out the level of sponsorship you’re able to make and help to turn this magazine into a page turning printed version.